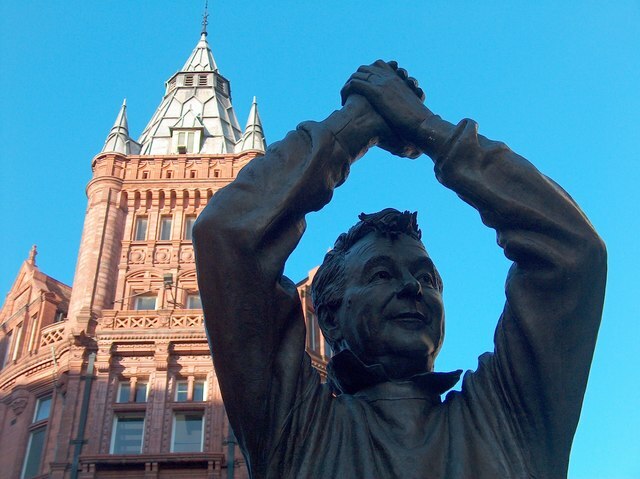 The outspoken and fearless Brian Clough remains one of the greatest managers in the history of football. He did endure setbacks, notably at Leeds United and the fact that he never landed the England job, but his achievements overshadow any blemishes. Most of Clough’s success can be attributed to his ability to find the right players for specific roles he wanted them to play in his sides. And of course, his man-management skills were legendary. Clough was famed for dishing out the right balance of carrots and sticks to get the best out of his personnel. And he certainly wasn’t modest about his legendary skills. “I don’t need a boring book by Freud to show me how to [read people]. I’ve been doing it since day one in management. I can tell, from the moment I see someone in the dressing room, whether he’s off colour, had a row with his missus, kicked the cat or just doesn’t fancy it that particular day. I know who needs to have his arse kicked. I know who needs leaving alone to get on with it. It’s a special kind of coaching done only by very, very good managers – like me. The art of management is knowing your own players, and I’m not talking about whether someone has a better right foot than left. I’m talking about really knowing them, knowing what sort of person you’ve got on your hands. Although he didn’t manage to win any major trophies after the European Cup triumph in 1980, his 18-year reign at Forest was his most successful managerial stint. Clough didn’t have the luxury of managing the biggest names in the game during his managerial peak and that was largely due to the fact that he managed provincial sides rather than the glamorous clubs in the first division. And it was great credit to him that he could get the best out of relatively lesser known players like Garry Birtles, Ian Bowyer among others. He did have the outstanding Peter Shilton in goal at Forest. There have been managers before and after Clough who have guided smaller teams from lower divisions to the top flight league titles, but the Englishman did it twice. And on top of it, he guided Nottingham Forest from the second division to the top of European football in just three years. It is astonishing to even begin to grasp the miracle he achieved when Forest managed to retain their European Cup in 1980. With it, Clough managed to take a provincial second division side to successive European Cup titles, and that is truly an unbelievable feat. Forest still remain the only side to have more European Cups in their trophy cabinet than their top division title, and that is the legacy of one of greatest English manager of all time. His achievements with Derby County and Nottingham Forest have secured his place amongst the pantheon of the all-time managerial greats.